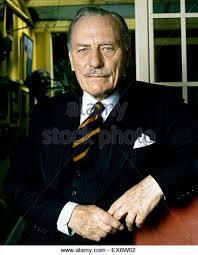 In the late 60s, Enoch Powell was undergoing some serious grief, for his so called ‘Rivers of Blood’ speech, which he allegedly gave in Wolverhampton on April 20th 1968. At a time when social and racial emancipation was the keyword for any western civilization, bound on a course of post WW2 enlightenment, he chose a very poor time to give a warning about the probable result of too much immigration. His punishment was a trip to obscurity, the Denizens of free love won the day, and simply let it all hang out! I was caught up in the middle. As a young jazz pianist – as I was then - black people were a part of my cultural life. I had experienced racial prejudice at first hand, but had also noticed how easy it was to vanquish, certainly by the drummer in my jazz trio. He was a Master Sergeant from the US air force base at Lower Wellford, and after a session at my family farmhouse in Burghfield one evening, we decided to go for a beer at The Hatch Gate, my local pub. The pub landlord - who was famous for being cantankerous, truculent and rude - refused to serve my friend, stating quite clearly - and in a very loud voice - that he did not serve blacks. My fellow American musician was totally nonplussed by the whole event, and calmly stated: ‘If you don’t serve me now, landlord, tomorrow you will not have to serve fifty black American servicemen like me, so it is up to you; you decide.’ Of course he got his pint of beer, and a small local skirmish was averted. But, this was also a time – for me at least - that the 20th Century had seemingly arrived in provincial UK, and at a time when most of the student population and the prevailing intelligentsia, we're looking for a fight. I know, because I managed to get my head thumped. It was on the occasion of a visit by Enoch Powell to Reading University, a speech he was to deliver on economics, and a subject he was very familiar with. The organizers, realizing that there could be some aggravation, asked me - along with others - if I would like to be one of his heavies for the afternoon, and very unwisely I said yes. 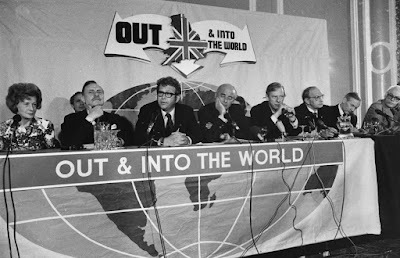 Enoch left the stage, and we, his secret army, pushed our way through the crowd - being bashed and beaten, by all and sundry - in order to form a passageway to the door and his waiting Rolls Royce. Bloodied but unbowed, we looked back to see where Enoch was, but he had disappeared altogether. An anticlimax for everyone, but not for Enoch, he had slipped out of the back door, and was on his way to Reading train station in a beaten up Mini! 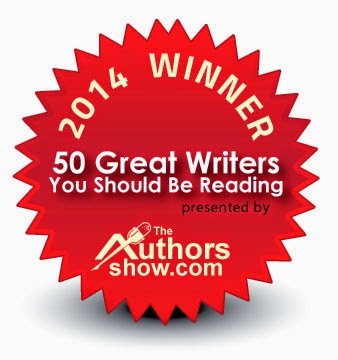 So, what is the moral of this story? 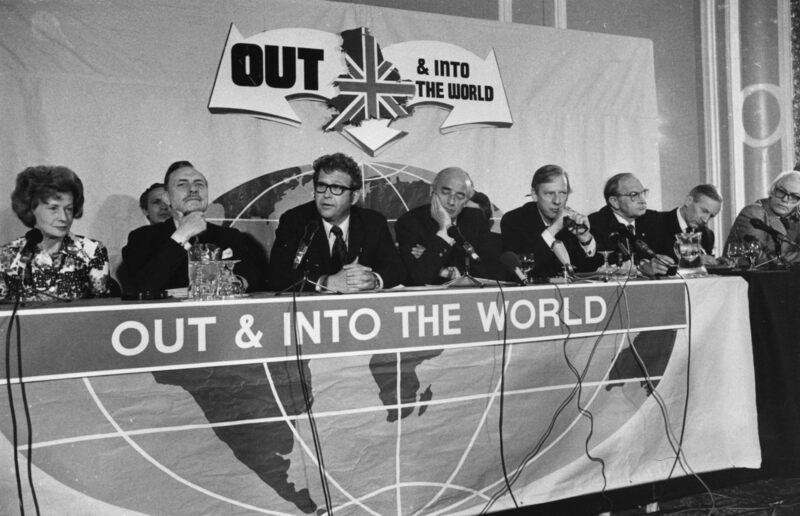 Powell was also cause for a rethink about The Common Market, and his then famous, ‘Get Britain Out of The Common Market,’ speech, made at the New Century Hall in Manchester in 1974. Made before a sea of white faces, mainly from the older age groups, there was serious argument among the audience themselves about their reasons for not being in the pre EU club. But, what were they arguing about, apart from immigration, because there was a lot of ambivalence about bloody foreigners then too! 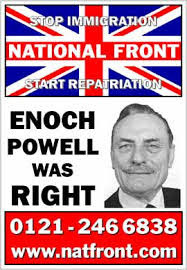 I can’t help feeling that there is an ‘Enoch Moment,’ happening right now. It seems that the argument for ‘in or out,’ is only part of the political landscape, and that UK PLC, needs to decide whether it wants to stay in the 20th Century or live anew in The 21st Century. If it stays in the 20th Century, we will all watch the slow disintegration of a fading nationalist and largely racialist society. If the UK chooses to coexist, in a shaky but more open minded 21st Century, it can help to lead a more enlightened EU, in which Great Britain continues to have its say. If it says nothing, then it is up to you to elect politicians who will be listened to in the Brussels Parliament, as well as listening carefully to the babble of the streets, and us; the great unwashed.